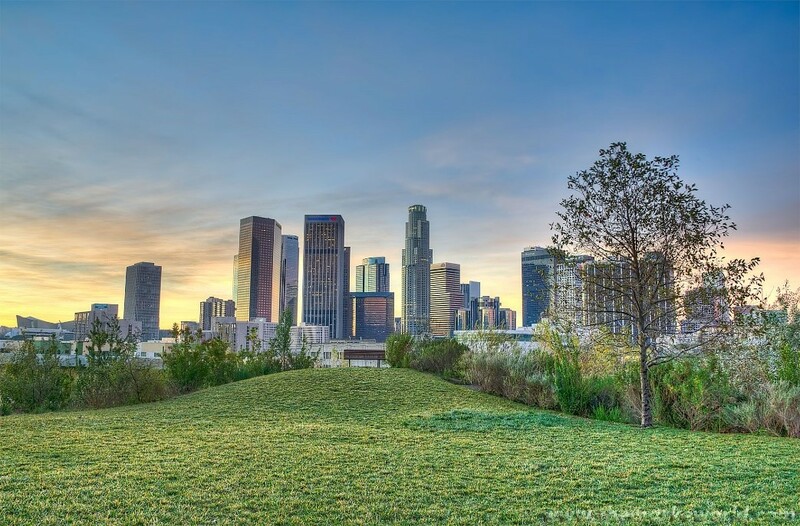 As a result of local and governmental efforts to control air pollution in Los Angeles, the air quality has greatly improved since the 1970s, cutting down the number of first stage alerts from 100 to less than 10 per year today, representing an exceptional success story in reducing pollutant emission levels. 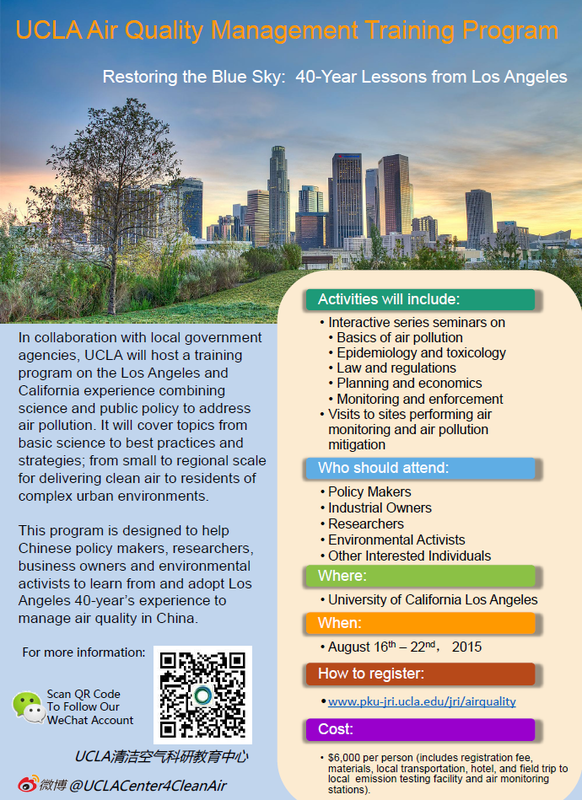 In collaboration with the South Coast Air Quality Management District (SCAQMD) and the California Environmental Protection Agency Air Resources Board (ARB), UCLA will present a workshop relating California’s experience in combining science and public policy to develop effective air pollution control strategies in efforts to provide for sustainable solutions, ensuring that present and future generations can enjoy breathing in clean air. Friday (9/16): Field trip to South Coast Air Quality Management District: ambient air monitoring station; clean vehicle fleet; rule making process. Saturday (9/17): Receive training certificate and departure. Early bird rate $4,798 per person before 6/1/2016, $6,000 afterwards (including registration fee, handouts, 6 nights of hotel, local transportation, breakfast, lunch, dinner, and snacks, field trip to local emission testing facility and air monitoring stations). Please click HERE to fill out the registration form. For more information, contact Prof. Yifang Zhu at yifang@ucla.edu.